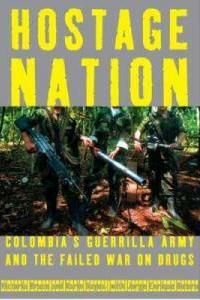 Longtime readers of Drug War Chronicle likely are already familiar with many -- but not all -- of the topics in Drugs, Insecurity, and Failed States. The Chronicle has been on the ground and reported back from Afghanistan, Colombia, and Mexico -- all of which get individual chapters in this new book -- on the problems generated by drug prohibition in those producer and/or transit nations. We've also reported to a lesser extent on the drug war's impact on Central America, but almost not at all on its impact in the countries of West Africa, which has become an important staging ground for drug flows from Latin America to Europe and the Middle East. 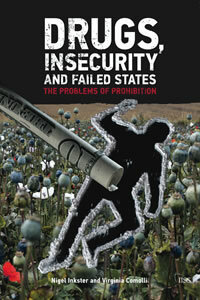 Drugs, Insecurity, and Failed States has individual chapters on these two regions as well. Even though some of the information is new, the book's thesis should also be familiar to Chronicle readers: The present drug prohibition regime is not only failing to win the war on drugs, it is also setting off and prolonging violent conflict -- both political and criminal -- in producer and transit countries. We have certainly seen that in spades in the past few decades. In Mexico, which is both a producer and a transit state, the multi-sided drug wars pitting the so-called cartels against each other and the state have left more than 50,000 dead in six years and shaken public confidence in state institutions. 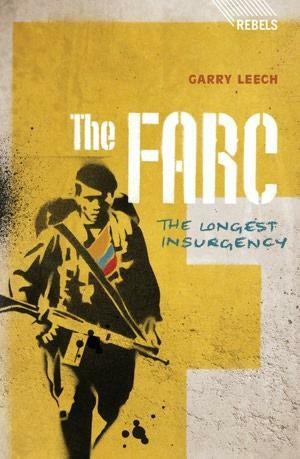 In Colombia, profits from the illicit coca and cocaine trade fund leftist guerrilla armies -- one of which, the FARC, has been at war with the state since 1964 -- and rightist paramilitaries alike. In Afghanistan, which supplies almost 90% of the world's opium and the heroin derived from it, both the Taliban and elements of the Afghan state are profiting handsomely from the illicit trade. Drugs, Insecurity, and Failed States provides succinct, yet fact-filled overviews of the deleterious effects of prohibition in all three countries, as well as West Africa and Central America. In all of them, the lure of the profits of prohibition exceed the threat of law enforcement or the ability of the state to suppress the black market economy. That's not news. What is newsworthy about Drugs, Insecurity, and Failed States is who has produced it. The authors, Nigel Inkster and Virginia Comolli, are, respectively the director of Transnational Threats and Political Risk at the London-based International Institute of Strategic Studies (IISS) and a research analyst at that august institution. Not only that, Inkster is a veteran of the British Secret Intelligence Service who spent his last two years as the Assistant Chief and Director for Operations and Intelligence. The IISS, which was founded to manage the Cold War for the West more than half a century ago, describes itself as "the world's leading authority on political-military conflict." With many former US and British government officials among its members, IISS very much is the establishment, an organ of the global security elite. When the IISS says a policy has not only failed but has produced counterproductive results, governments tend to listen. Now, we have the IISS quite clearly and vehemently saying that drug prohibition has done both. And that's what makes Drugs, Insecurity, and Failed States so remarkable -- not that we want to give short shrift to the cogent analysis in the book. It is noteworthy that the authors also take on the international drug control bureaucracy based in UN agencies such as the International Narcotics Control Board (INCB) and the Office on Drugs and Crime. They chide the INCB for not only failing to control the illicit drug traffic, but also with failing to uphold the other part of its mandate: ensuring an adequate supply of opiate-based pain medications. Noting that a handful of Western countries account for a staggering 80% or more of all opioid pain medication usage, Inskter and Comolli clearly think vast portions of the planet are not getting sufficient pain medications, and they blame the INCB. To be fair, though, they also acknowledge other obstacles to the effective treatment of pain in developing nations. Drugs, Insecurity, and Failed Statesis also useful for its discussion of the alternatives to prohibition and what decriminalization or legalization would and would not achieve. Decriminalization would be a benefit to drug users, they argue, citing the Portuguese experience, but would not address black market profits. And legalization would certainly weaken, but is unlikely to eliminate, the violent criminal organizations running amok in places like Mexico and Central America. For politically motivated actors, such as the FARC in Colombia and the Taliban in Afghanistan, for which the profits of the drug trade are not an end in themselves, but a means to achieving political goals, legalization would have little impact, except on their revenue streams. Such groups would find other means to continue, Inkster and Comolli suggest. The book also discusses the prospects for trying to change the global prohibition regime, which is based on the 1961 Single Convention and its two successor treaties. The outlook is not sunny, the authors suggest, given a distinct lack of interest in reforms by such major players as the United States, China, and Russian, not to mention the lack of a hue and cry for change from regions including Africa, the Middle East, and Southeast and East Asia. But even within the ambit of the global prohibition regime, there is a bit of room for experimentation. The INCB could try to find less restrictive interpretations of the treaties, and the Office on Drugs and Crime could shift its emphases. That could result in some small openings, perhaps for supervised injection sites or heroin maintenance and the like, but not in major changes and not in an end to global drug prohibition. Drugs, Insecurity, and Failed States concisely restates some old arguments and adds a few new ones, and it provides handy overviews of the problems of prohibition in producer and transit countries. One can only hope that members of the policymaking circles at which it is aimed actually pick it up and read it because the global security establishment is telling them in no uncertain terms that not only is prohibition not working, it's making matters worse. The amount of opium produced in Afghanistan this year has increased dramatically, the UN Office on Drugs and Crime (UNODC) said in a report Tuesday. Production is up 61% over last year, according to the 2011 Afghan Opium Survey jointly released by UNODC and the Afghan Ministry of Counter Narcotics. 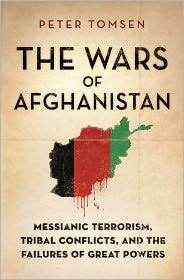 The report comes as the US marks the 10th anniversary of its invasion of Afghanistan in October 2001. Since the US invasion, Afghanistan has been the world's leading opium producer, as US and NATO forces largely ignore poppy planting, favoring counterinsurgency over counter narcotics. Production declined dramatically last year owing primarily to a blight that struck opium poppies. But this year, poppy was back with a bang. Not only did opium production increase dramatically, but the amount of land sown with poppy also increased, although not so dramatically. The number of hectares under poppy production increased from 120,000 last year to 131,000 this year, up 7%. 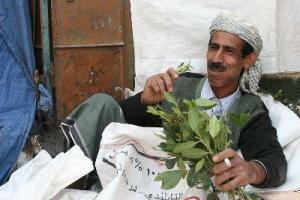 That was to be expected after last year's blight caused raw opium prices to soar. UNODC estimated the farm gate value of the poppy crop at $1.4 billion or about 9% of Afghanistan's gross domestic product. But when heroin processing and trafficking is added to the mix, poppy takes on an even greater role in the national economy, contributing to something between one-third and one-half of all economic activity. 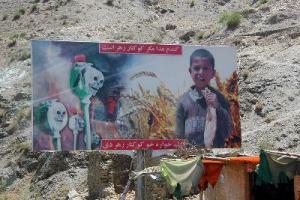 UNODC estimated that the Taliban receives 10% of poppy harvest proceeds, or around $140 million a year. But that figure is even larger when Taliban taxation of or involvement in opium and heroin trafficking is taken into account. Poppy production is centered in areas that are largely outside the control of the government in Kabul. The Taliban bastions of Helmand and Kandahar provinces accounted for the majority of Afghan opium production, with production also booming in conflictive Nangahar province along the Pakistan border in eastern Afghanistan. This year's estimated 5,800 metric tons of opium production, while a large increase over last year, is still below Afghanistan's peak production. In 2006 through 2009, production was over 6,000 metric tons each year, reaching nearly 8,0000 metric tons in 2007. Still, Afghanistan's position as the world's leading opium producer remains unchallenged, and it accounts for more than 80% of global opium production. Drug policy and drug use have become issues in Peru's upcoming presidential election, albeit in a strange and sometimes silly way. Former President Alejandro Toledo, the front-runner in a crowded field of candidates, called late last month for the decriminalization of drug use, sparking fevered denunciations from his opponents, and that was just the beginning. In a campaign where most of the major candidates are on the same page in terms of economic policy, social issues have been a way for them to differentiate themselves from others. Toledo has staked out a position as the sole social progressive, also supporting legalized abortion and gay rights -- and being attacked for those positions as well. There's just one problem, both with Toledo's decriminalization suggestion and with his foes' attacks: The possession of small amounts of drug for personal use is already decriminalized in Peru. One can possess, for example, up to seven grams of marijuana and up to two grams of cocaine without criminal penalty. "Depenalization is an alternative that must be looked at," Toledo told the foreign press in a late January speech in Lima. While acknowledging that decriminalization already existed in Peru, he asserted vaguely that he may seek to somehow deepen it if elected. He also said that police and the judiciary must be reformed to strengthen the fight against Shining Path remnants that have gone into the drug trade. "Otherwise, it will become a narco-state," he said. "It's a serious issue." Ignoring Toledo's remarks about fighting the drug trade, his four primary opponents opened fire on the decriminalization issue. It was a barrage of attacks. "It amazes me that Toledo is offering falsehoods throughout his campaign and proposing things that are not applicable to our society as the legalization of abortion and drugs," said Pedro Pablo Kucyzinski. "I think if you decriminalize the drug trade in a country that is a major drug producer in the world, what we do is go to a pool full of whiskey and drugs in this country," he finished. "It seems absurd, we are one of the largest producers of drugs in the world and by legalizing it we will lose our youth, it would be really terrible," said Keiko Fujimori, who is vying for second place and a shot at a run-off bid. "Crime rates have doubled in the last 10 years and drugs are is one of the major causes." She was joined by the other leading contender for second place and a shot at a run-off, Lima Mayor Luis Castaneda. "I oppose the legalization of drugs because it breeds violence and we are going to fight this problem, drugs are evil and a disturbance to society that turns into violence and death." 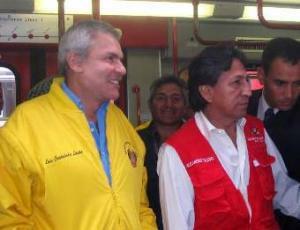 Radical nationalist Ollanta Humala at least addressed the broader issue of drug production even as he attacked Toledo. "We are against the legalization of drugs," he said. "But we have a proposal for comprehensive fight against them that involves not separating the coca growers from the rest of the country, they are not the first link in the chain of drug trafficking, they are the first victims." Then things deteriorated. Early this month, Fujimori challenged the other candidates to take a drug test after submitting to one herself and revealing the results. (She passed.) "I am doing this test so everybody knows I don't do cocaine," she said. Toledo initially responded by saying that he would submit to a drug test, but hours later said he wouldn't be "part of that game." His campaign chief, Carlos Bruce, said Toledo had nothing to prove other than to remind voters of his track record. "When we were government, we fought against drug trafficking," Bruce said "Neither Perú Posible nor Toledo were accused of having links with drug trafficking," he added. "Those who want to cut their hair and go to the lab, I salute them." Toledo did, however, take care to assure voters that he has never consumed drugs, nor smoked cigars, because he never learned how to. Nor is he an alcoholic, he said, despite what his opponents say. Ollanta Humala had perhaps the most pointed response to the drug test demand. "Instead of a drug test, candidates should submit themselves to a patriotic test to see if they have ever been concerned about defending our national interests, resources and sovereignty." Humala added that he will not do a drug test because he doesn't want to be part of a "media show." The first round of elections is April 10. If no candidate wins a majority of the vote, the first- and second-place finishers will compete in a head-to-head run-off. In an interview with the magazine Semana published Sunday, Conservative Colombian President Juan Manuel Santos said he was open to decriminalizing drug possession. Drug possession had been decriminalized in Colombia from the early 1990s until 2009, when, after years of effort, then President Alvaro Uribe managed to push through re-criminalization. Decriminalization "is an alternative that we can discuss," he said, but further comments suggested he is open to ending prohibition of production and sales of drugs as well. "I am not opposed to any formula that is effective, and if the world decides to legalize and thinks that that is how we reduce violence and crime, I could go along with that," he added. 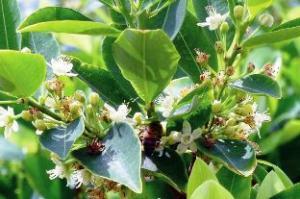 Colombia is one of the world's leading coca and cocaine producers. Leftist guerrillas and rightist paramilitaries have both profited from the trade, as have non-political criminal elements. "President Santos's cautious but clear support for seriously debating the option of legalization as a solution to prohibition-related violence and crime sends an important message to other presidents and prime ministers," said Drug Policy Alliance executive director Ethan Nadelmann in a statement Monday. "Taken together with President Obama's recent acknowledgement that legalization is a legitimate topic for debate, it suggests that the debate is opening up globally in ways that are both unprecedented and essential to meaningful drug policy reform." Santos also signaled support for Bolivia's efforts to have coca removed from the 1961 Single Convention on Narcotics list of controlled substances. That request is before the United Nations right now and has been challenged by the US and a number of European countries. "I am open to discussing new alternatives, but we cannot make the change alone," he said. 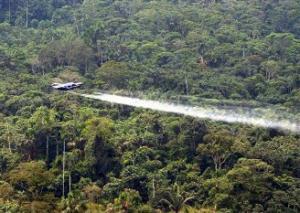 "And we have no alternative to fighting the chain of drug trafficking. We support Bolivia because this is established in the constitution: respect the indigenous peoples and their traditions." 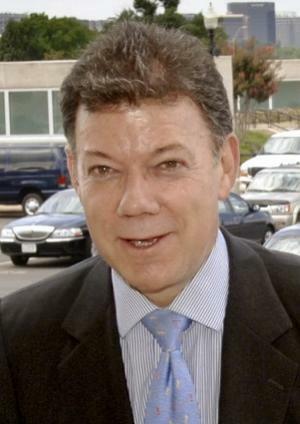 Santos' remarks on decriminalization come as Colombia's Constitutional Court hears a challenge to the 2009 re-criminalization law. The International Center on Human Rights and Drug Policy last week submitted an amicus brief to the court arguing that decriminalization is not prohibited by the UN anti-drug conventions or the UN Convention on the Rights of the Child.